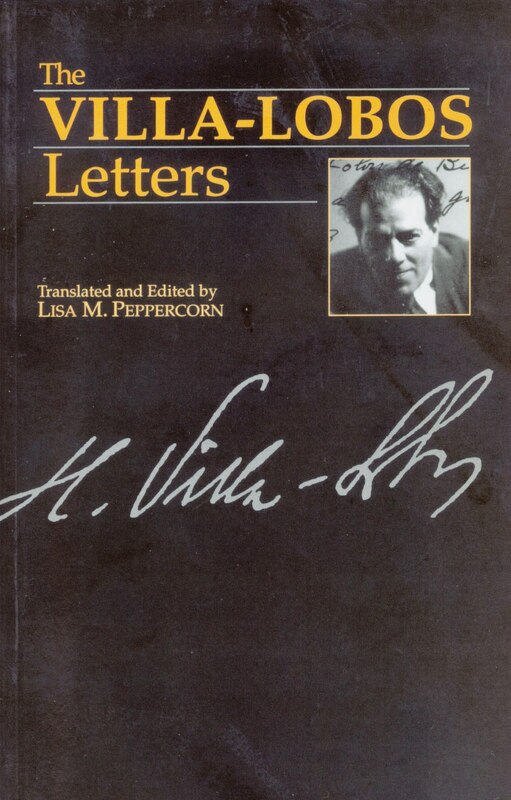 The Villa-Lobos Letters assembles for the first time the complete surviving correspondence of the outstanding Brazilian composer Heitor Villa-Lobos (1887-1959), one of the most colourful figures in twentieth-century music. Lisa Peppercorn, the leading authority on Villa-Lobos, has spent years tracking down his letters and those of his correspondents, and here has collected and annotated them, illustrating her work profusely with pictures of Villa-Lobos and his friends, the surroundings of his formative years, facsimiles of letters, publications and concert programmes – making The Villa-Lobos Letters a unique collection of documentary material. The letters are divided, largely chronologically, into four parts, the first detailing Villa-Lobos’ relationship with the two Brazilian industrialists who sponsored one of his early sojourns in Paris, where he began to acquire an international reputation. Part II collects the letters from the time he spent back in Brazil, not least the rather guarded exchange between the composer and the wife he was about to leave. Parts III and IV assemble correspondence from the height of Villa-Lobos’ fame, both as composer and conductor.The book is completed by a personal reminiscence of the composer by the Canadian poet Ralph Gustafson and a detailed chronology of Villa-Lobos’ life and compositions.